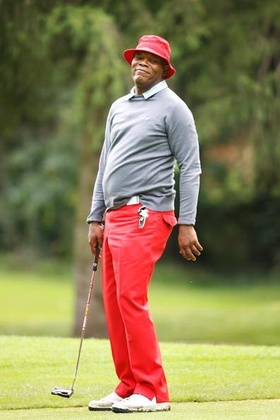 Samuel L. Jackson will be in the UK in August to host a celebrity charity golf tournament for the Make-A-Wish Foundation. The third annual Shooting Stars Benefit will feature a dinner at London’s Asprey, a two-round competitive golf tournament at the Wentworth Golf Course with teams led by international celebrity captains, and will conclude with a star-studded Benefit Ball, featuring a red carpet champagne reception, a live gala performance by an international artiste, superb food and wine and a live auction with some amazing prizes. Proceeds will also benefit the Samuel L. Jackson Foundation. Previous events have featured Rupert Grint, Luke Wilson, Michael Bolton, Alice Cooper and many others. This year’s event takes place August 3-5. More information can be found here.